Breaking with the standardized fashion calendar, designers are imaginatively thinking outside the white tent to present their wearable creations in dramatic new ways. Collections available at River Oaks District make no exception, recent showings from Christian Dior, Dolce & Gabbana, Stella McCartney, and Tom Ford had the international press racking up frequent flier miles way beyond the typical London, Milan, and Paris. Influenced by the spectacular scenery, architecture, culture, and events of faraway lands, seasonal fashion shows took on new resonance when presented along with innovative travel experiences. The 2016 Cruise collection from Christian Dior was shown above the Bay of Cannes, at the extraordinary seaside holiday home of Pierre Cardin located in the Cote d'Azur. The utopian modernist style architecture perfectly matched designer Raf Simons contemporary take on the codes of Christian Dior. Couture artistry reached new heights when Dolce & Gabbana presented their latest Alta Moda collection in the Italian coastal town of Portofino. Presented in an ethereal setting that heightened the dreamlike artistry of these extraordinary creations, each one-of-a-kind outfit distilled the classical elements of Dolce & Gabbana to their extraordinary essence. 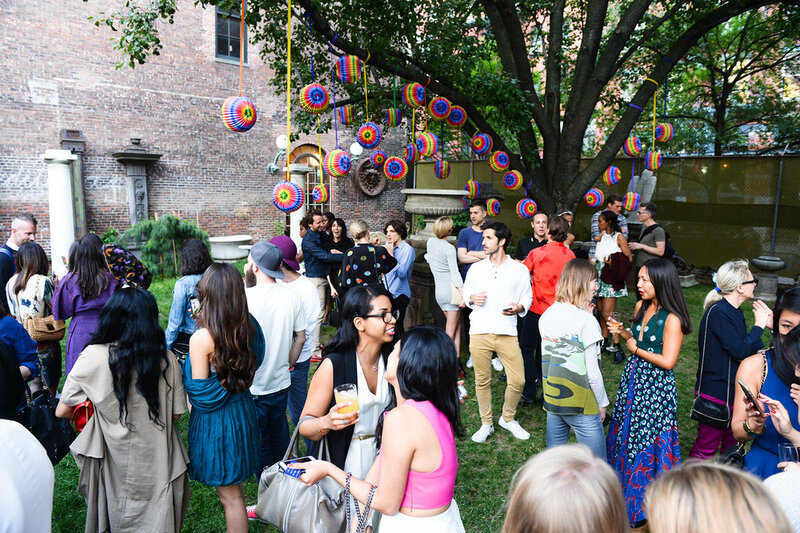 Stella McCartney brought her 2016 Cruise collection across the pond with a casual garden party in New York's Little Italy neighborhood. Decidedly more carefree than her seasonal showings in Paris, the glamorous celebrity-filled outdoor party made viewing her Cuban inspired collection fun, charming, and exceptionally down to earth. The Fall 2015 collection from Tom Ford was transported from London to Los Angeles to take full advantage of the star studded glitz that is Oscar weekend. Showing a collection inspired by the bohemian seventies, Tom Ford's collection of high-octane southwest style became an instant classic take on West Coast style. The designer is also currently working on a new thriller starring Jake Gyllenhaal and Amy Adams called 'Nocturnal Animals' making it look very likely that he'll be spending a lot more time in the City of Angels.